Georgia native Lee Baker, CFP® has been appointed the new state president of AARP Georgia, the state’s largest social mission organization with over 1.1 million Georgian members. Baker will partner with AARP Georgia State Director Debra Tyler-Horton and work with staff and volunteers to help achieve AARP’s vision, mission and strategic priorities. He also will act as the principal volunteer spokesperson for AARP in Georgia, communicating AARP’s messages statewide. Since 1986, while still a student at the Georgia Institute of Technology, Baker has been helping individuals and small businesses make smart financial decisions. After graduating with a degree in Industrial Engineering, he began his financial career with local employee benefits firm, Lindaman Insurance. His passion for financial planning and the desire to, “Bring a little bit of Wall Street to Your Street,” led him to establish Apex Financial Services in 1998. “My vision is to help make AARPGA the leading organization in our great state that our age 50+ population looks to when they think of caregiving advocacy and education, fi- nancial resiliency, and fraud prevention,” says Baker. Planners (ICFP) and the International Association for Financial Planning (IAFP) since 1998. In 2007, Baker served as President of the Georgia Chapter of the FPA. In 2008, Baker became the first African American to serve on the National Board of Directors of the FPA. This leadership role demonstrated his success in promoting collective work among diverse communities for shared common financial goals, even during the country’s recession. He also served on the Advisory Board of the Emory University Certified Financial Planner® Program, in addition to the Board of Directors for the Wesley Community Centers, Inc., a non-profit organization dedicated to meeting the needs of under served youth and senior populations. Baker served as the Immediate Past President of the Georgia Tech Black Alumni Organization and Advisory Board Chair of the Clark Atlanta University CFP Program. From 2011-2015, Baker served as the spokesperson for AARP’s Financial Freedom Initiative, which offers free, interactive, financial workshops for communities to empower and educate individuals with tools, strategies and resources to help them to achieve short and long-term financial security. His service has been pivotal in engaging multicultural communities by growing relevance and impact. Baker’s media experience includes serving as a contributing writer for MarketWatch (Wall Street Journal Online), in addition to being quoted in Black Enterprise Magazine, the Wall Street Journal, Kiplinger’s Personal Finance Magazine, Christian Science Monitor, Financial Planning Magazine, Dow Jones – Financial News, Money Magazine, Wealth Manager, Chicago Tribune, USA Today, The Denver Post, Essence Magazine, SmartMoney Magazine, and The Atlanta Journal Constitution. 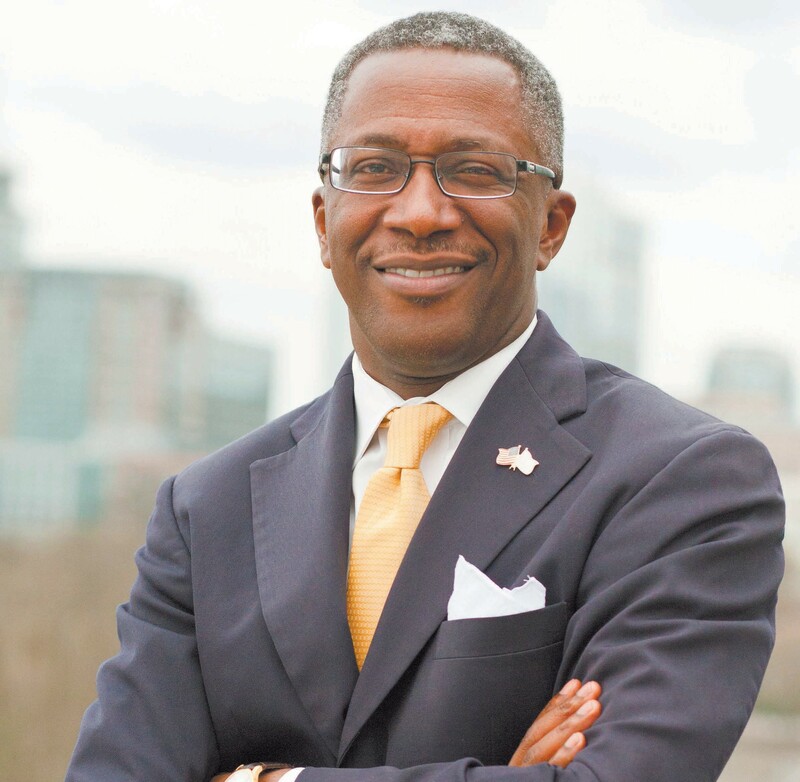 Baker has also made television and radio appearances on NBC Nightly News with Brian Williams, Focus Atlanta, WSB-TV, A Woman’s Place – Atlanta Interfaith Broadcasters, National Public Radio, and WYZE-1480 AM. Baker and his wife live in Stone Mountain, Georgia. Both are active members of Antioch Baptist Church North, where Baker is Chairman of the Trustee Ministry. They have two young children.